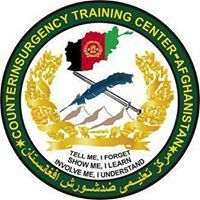 The Counterinsurgency Training Center located in on Camp Julien, Kabul, Afghanistan trained thousands of Afghan National Security Forces (ANSF) and Coalition Force personnel in counterinsurgency. In 2012 the CTC-A's Coalition Forces personnel turned over the school to the Afghan military. The CTC-A was also known as the "COIN Academy". It was established in 2007. In 2010 more and more ANSF students attended; the focus shifting to training the Afghan military in counterinsurgency. It appears that (as of Jan 2018) the CTC-A no longer exists and it is unknown if Resolute Support HQs or the ANDSF have any formal institution that presents training in COIN doctrine and tactics. The Counterinsurgency Training Center - Afghanistan enhances coalition forces, Afghan National Security Forces, and other GIRoA agencie's capabilities to reduce insurgent influence through the delivery of regionally focused, timely, and relevant best practice counterinsurgency training and education that fosters greater unity of effort among all stakeholders in order to facilitate the development of a secure and stable Afghanistan. COIN Leadership. This class provides a common core baseline of what COIN is and the students spend time applying the concepts they have learned by doing practical exercises. Stability Programming Framework. This class focuses on teaching key leaders in Afghanistan how to rebuild a community by determining the causes of instabilities, and then how to plan againsts thoses causes to reduce the reasons for insurgencies. In September 2012 the CTC-A transitioned from an International Security Assistance Force (ISAF) / Coalition Force (CF) led institution to an Afghan National Army (ANA) organization. The last coalition personnel departed in October 2012. 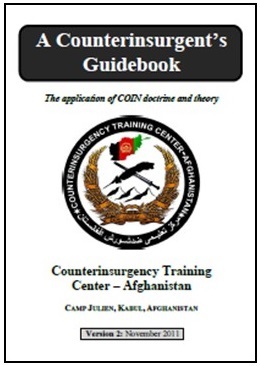 In November 2011 the CTC-A published A Counterinsurgent's Guidebook to provide information about the application of COIN doctrine and theory. It's purpose was two-fold. First to provide a common language and framework for counterinsurgents currently engaged in Afghanistan. The second purpose was to provide a structured cognitive process - and supporting tools - whereby counterinsurgents could translate existing counterinsurgency doctrine and theory into practical application. The intended audience for this guidebook was operational and tactical level U.S. / NATO / Coalition counterinsurgents, military and non-military alike. April 16, 2016. "No COIN Left in Afghanistan - Or The Elephant in the Room That No One is Talking About", Small Wars Journal. Franz J. Marty, an independent war correspondent residing in Kabul, writes that the Afghan forces apparently lacked COIN training and understanding while Resolute Support HQs looks the other way. He reports on the demise of the CTC-A. August 26, 2011. "White Paper on COIN Instruction", Small Wars Journal. Michael Murry of the CTC-A writes that there is a doctrinal gap in COIN doctrine when applied to Afghanistan. February 20, 2011. "Afghans to take lead in counterinsurgency operations", Army.mil. November 5, 2010. "COIN academy brings new focus to counter-insurgency doctrine", DVIDS. July 23, 2009. "Counterinsurgency in Afghanistan Requires New Thinking", DoD News. September 7, 2010. The Objectives of Counter Insurgency Training, Soldiers Media Center, Youtube.com. Gail McCabe, reporter, talks to Col John Agoglia, director of the COIN training center in Afghanistan about counter insurgency training. Some info on the mobile training teams from CTC-A is available in Afghan security forces learn about counterinsurgency, Army.mil, November 27, 2011.